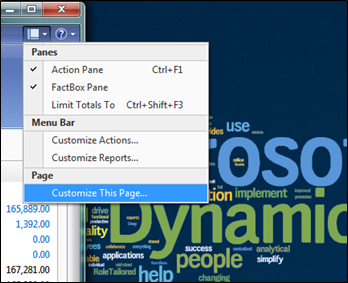 One of the biggest changes in day-to-day system use is the FastTab. 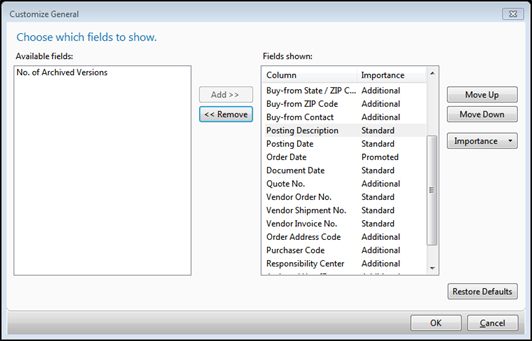 In this post, we’ll go over how to control Field Importance to help you make Microsoft Dynamics NAV Role Tailored Client more helpful every day. In our post, The Anatomy of a FastTab, we outlined how fields can be different Importance. 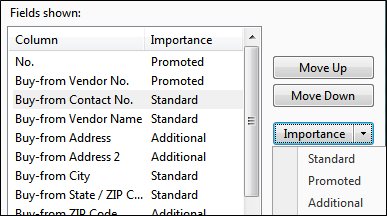 To recap: Importance Promoted are shown in the FastTab bar when collapsed, Importance Additional are hidden behind the Show More Fields button. You may need to resize the window a little larger to see everything. Note: You can also click the Importance button multiple times to cycle through the options. Repeat this demotion to Additional for Buy-From City and Buy-From State/ZIP. 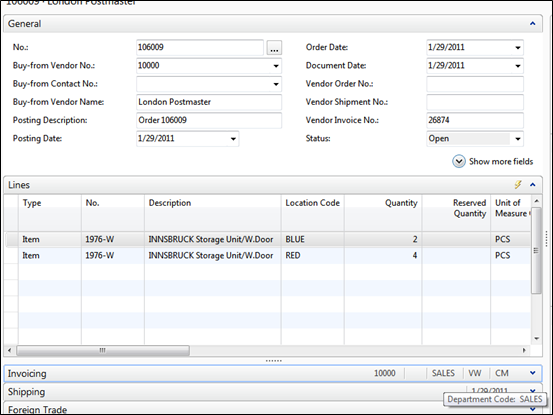 Click OK (once) to head back to the Customize Purchase Order window. 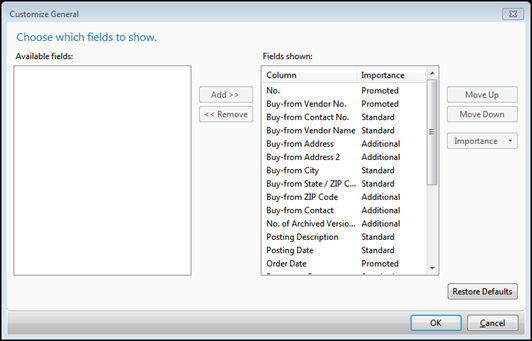 We’ll want to select the Invoicing FastTab and press Customize FastTab… again. Hopefully, this will help you and your team make the RTC a really great fit for the exact way you do business – removing unneeded fields makes the key ones stand out. The best part about these changes is that they’re per-user or per-profile and will not be affected by most object changes, but that’s for another post. 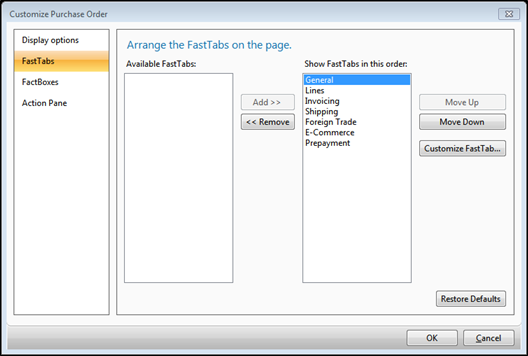 NAV Configuration FastTab, UserCustomization. permalink.